Close your eyes and imagine your grandmother’s old house; the furniture, the artwork, the floral drapes… For some, this might bring back fond memories and nostalgia. But if you are considering a clubhouse in your 55+ community, promise me that you will not use that space as inspiration for active adults. 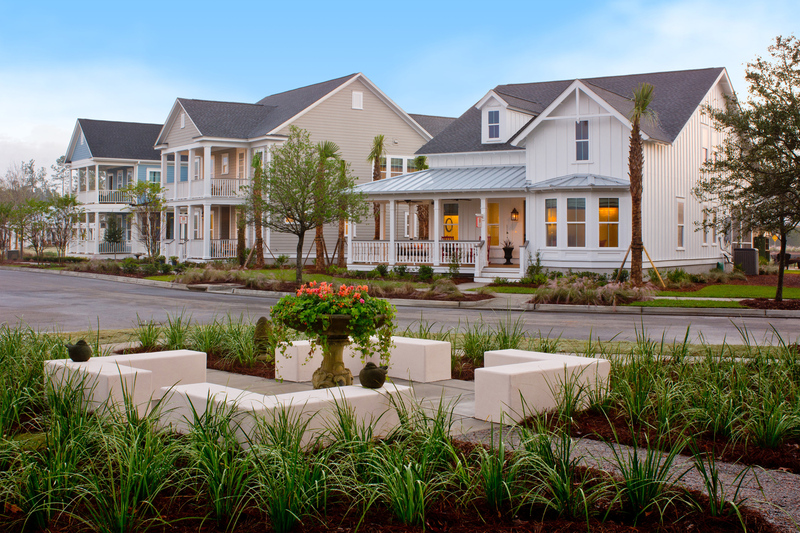 When it comes to designing a 55+ amenity center, the last thing your buyers want to feel is “old”. Their clubhouse should reflect that desire. In fact, most want to rage against aging and there are so many ways the clubhouse and amenities can contribute. Additionally, the right clubhouse can also help (finally) convince them it is okay to downsize. 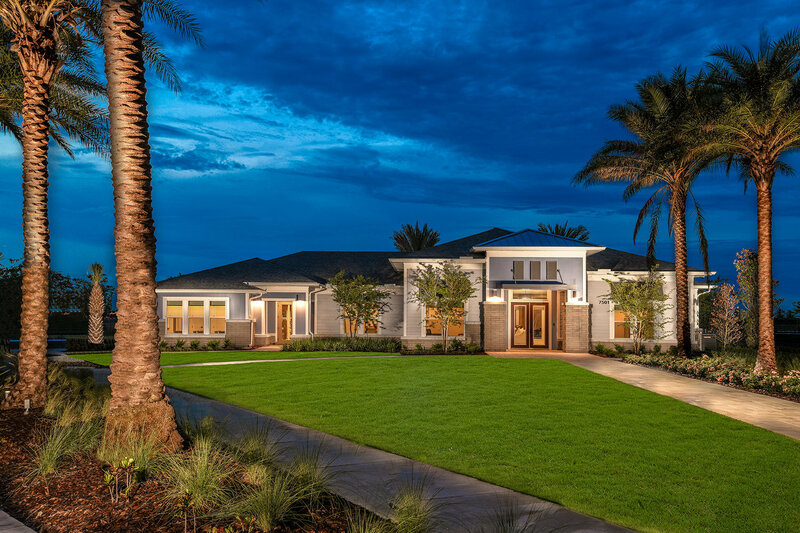 This clubhouse from Beazer proves that even a small amenity center can have a large impact on its residents. Wellness is a huge focus for this buyer – just look how many copies of the Younger Next Year series have been sold. The most obvious wellness feature is the fitness room. This room needs to include aerobic and strength equipment. Not to be overlooked is agility and stretching in one’s exercise routine. Swimming is a phenomenal form of exercise and great for folks with joint issues. The Arthritis Foundation recommends that “the water should feel ‘soothing and comfortable’, but not hot. Pool temperatures between 83 and 88 degrees are usually warm enough for exercise,” according to the Foundation. “If soaking in a hot tub — between 98 and 104 degrees— it’s best to limit your time to 10 or 15 minutes.” Of course, pools have the additional benefits including their aesthetic value. Will potential buyers think exercise when they see the pool or relaxation? Luckily, it can be both. The world of fitness is ever-changing. Folks entering the 55+ market are usually keen on trying new things, so I love including a “flex” fitness room that can host yoga, Pilates or Taiichi classes. Some of you might remember step aerobics (yes, it’s still around), but have you tried fit-ball classes? How about cardio-boxing or belly dancing? The variety of fitness options is immense, and the key will be determining which fitness option resonates with the buyers. Ensure that there is a large closet to store fitness essentials such as matts, blocks, balls, etc. Having a flex fitness room ensures that yoga studio won’t go the way of the crafts room if yoga suddenly goes out of style. Connecting, interacting and caring for family, friends and even pets has been shown to positively contribute to wellness. A clubhouse should feel welcoming and encourage gathering. I love using sports to bring people together. Whether its golf, football, basketball, baseball or soccer, there always some sport in season year-round. There are often multiple sports going on at the same time. With this in mind, be sure to include multiple TV’s in the Gathering Room! Food and Wine are just as popular as sports. But including a fully functioning kitchen gets expensive because of the requirement for a commercial hood over any cooking surface. Instead, you can have an outdoor grill and locate it just off the kitchen area. Inside, the balance of the “kitchen” can be for laying out food catered or brought in by residents “pot luck” style. The large gathering island works great for this. If you really want to make the most of the space and draw a crowd, offer a wine or craft beer tasting and watch folks line up around oversized island. Past 55+ clubhouses included card rooms. But will tomorrows retires still play cards – not on their phones or tablets? I hope so because of the tremendous social interaction (My family loves to play cards when we gather). Will we need “libraries” where residents can exchange books? Or will we all be reading books on our Kindles and iPads? Either way, let’s find a place for the book club. With a little advance planning, the flex fitness could convert to a card room or a place for the book club to gather. Since anywhere between 50 and 70% of 55+ buyers have pets – dogs being the favored pet – appealing to the pet parents has been a great selling strategy. Most older homes failed to design around pets. Many builders have offered optional pet baths, but few have selected the option because of cost or space required for it. Offering a community pet bath is another great tool. In warmer climates, the pet bath can be outside. In colder climates, bring it inside. I recently visited a high rise luxury apartment project in Boston and took a picture of their pet room. The large black “thing” you see on the wall that looks like a shop-vac is actually the dog blow dryer. The clubhouse may be the thing that allows 55+ buyers to finally get comfortable with downsizing. Creating a place to “get away” – from your spouse or their friends. Creating a place to congregate with friends without having to “pick your place up”. For singles, it a place to fight against loneliness and isolation or feeling trapped in their smaller dwelling. A good clubhouse can make all the difference – not just from a “sales” perspective but also how it can enhance the lives of the folks who choose to live there. Make them feel young, vital and welcomed. Whatever you do, don’t make it look or feel old. Don’t we all want to rage against age?